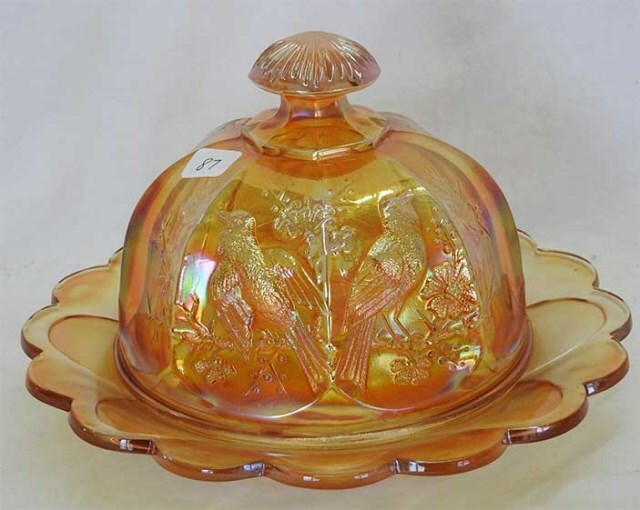 Singing Birds differs from Imperial's Robin in that the birds here are framed by panels. 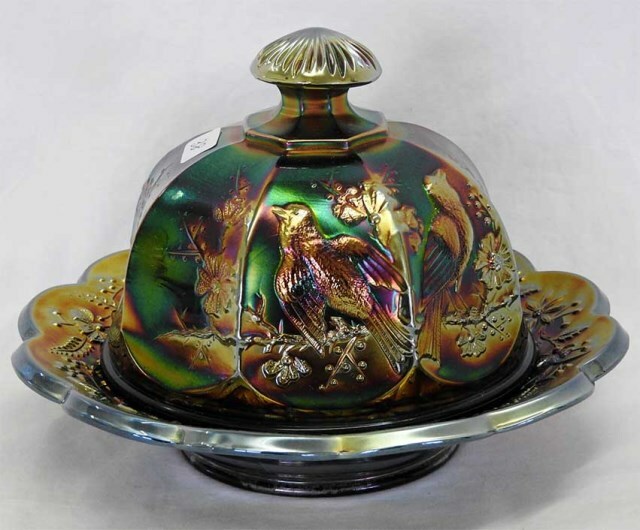 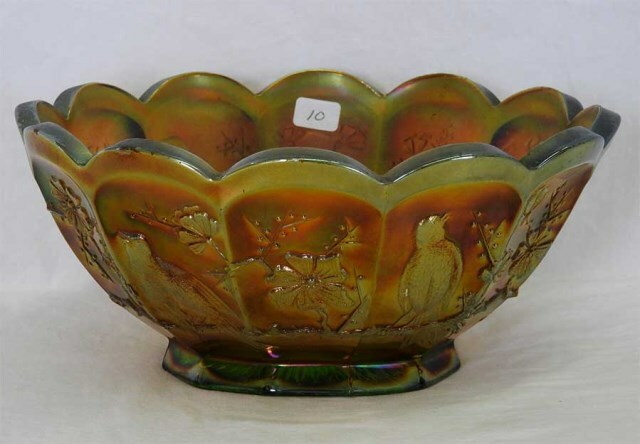 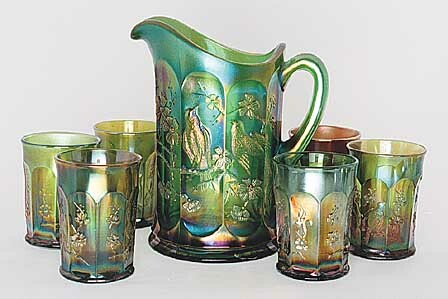 Northwood's own Springtime pattern was made in some of the same shapes as Singing Birds and has some of the same features–including the panels. 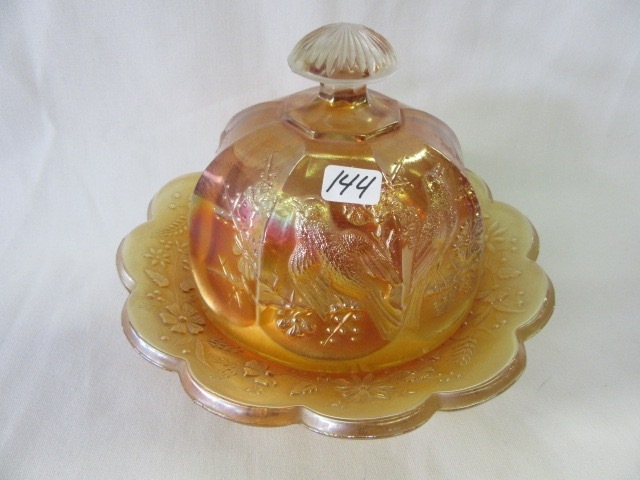 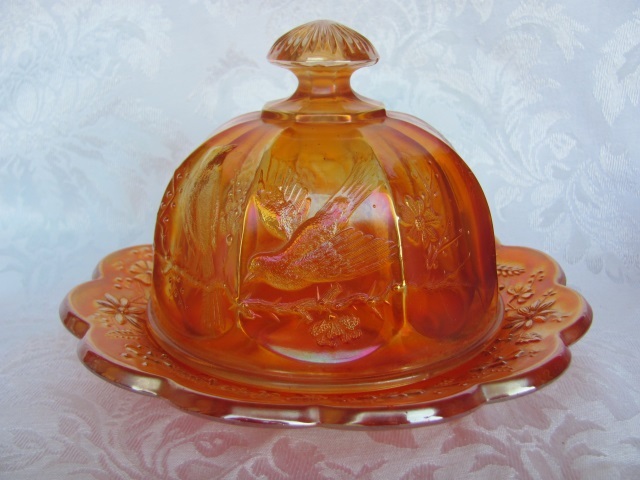 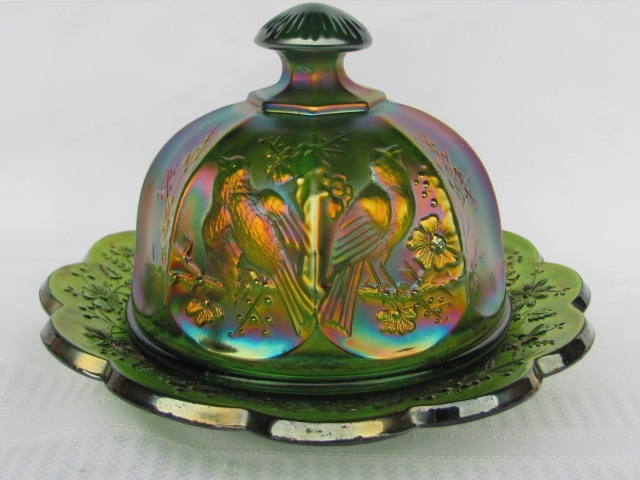 If it has a butterfly and basketweave around the bottom, it's Springtime. 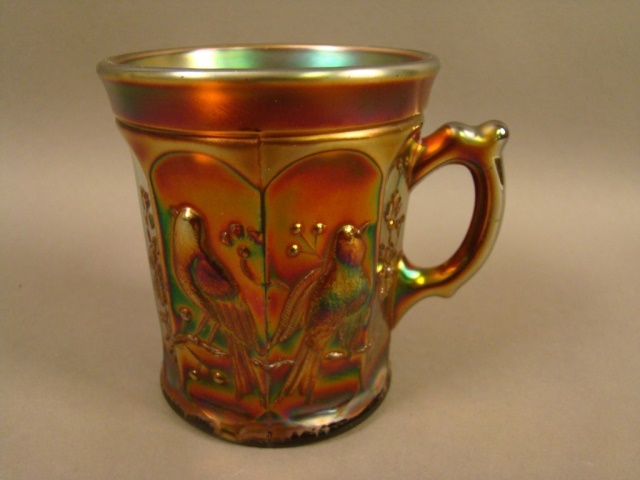 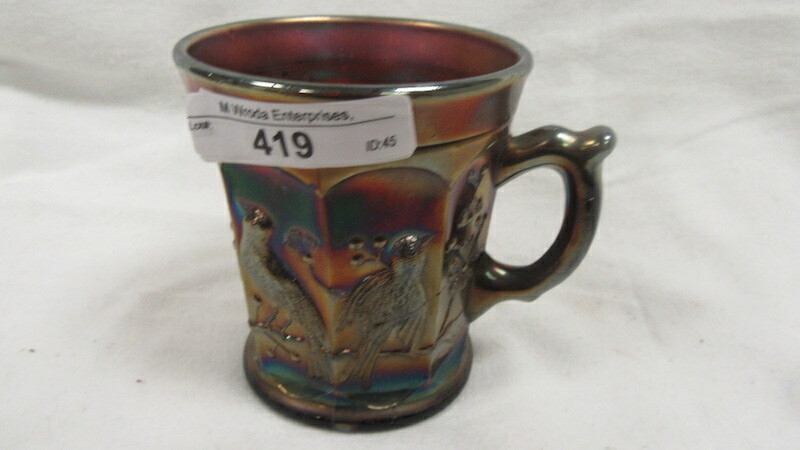 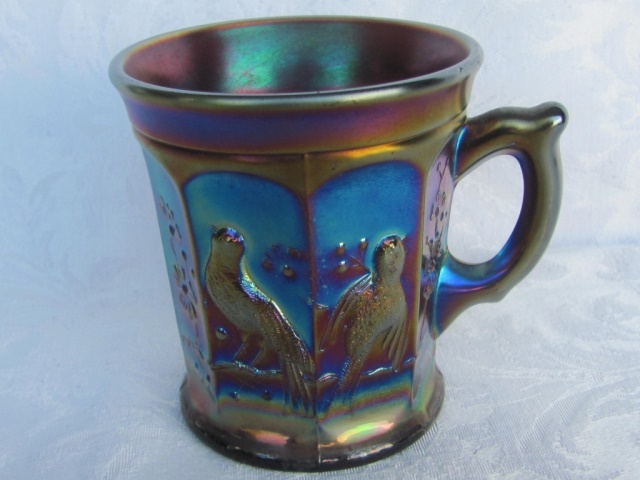 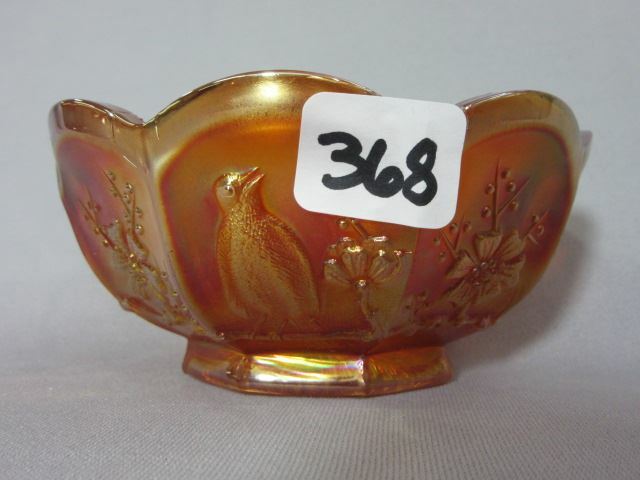 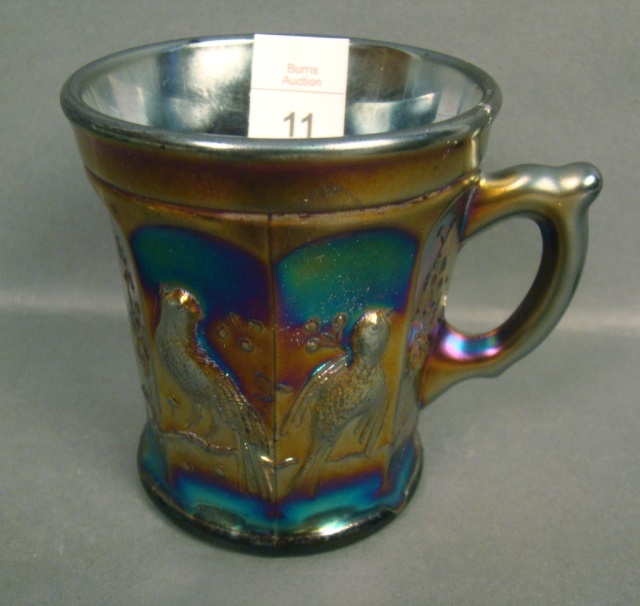 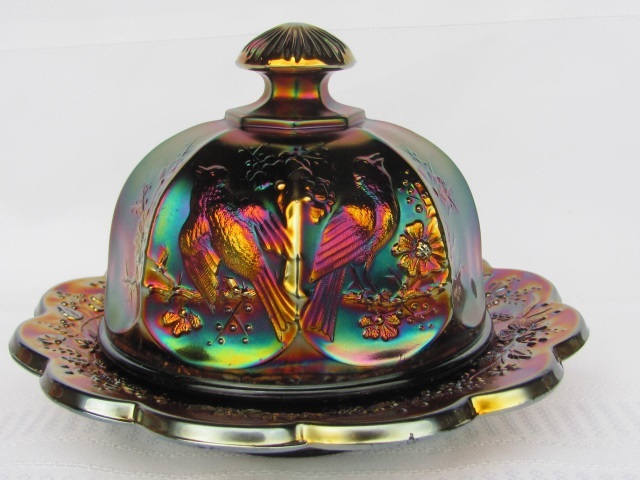 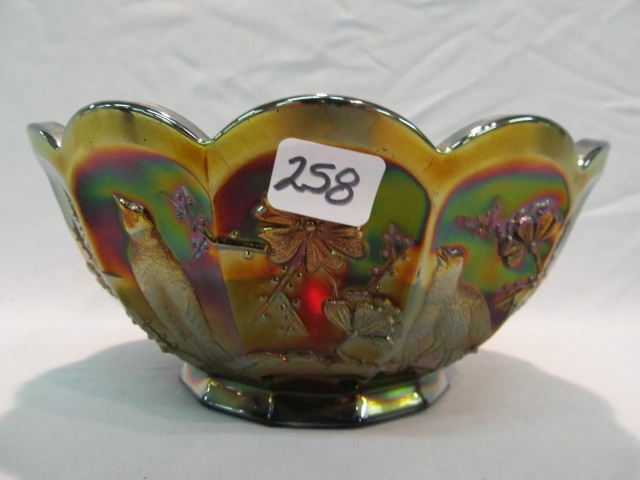 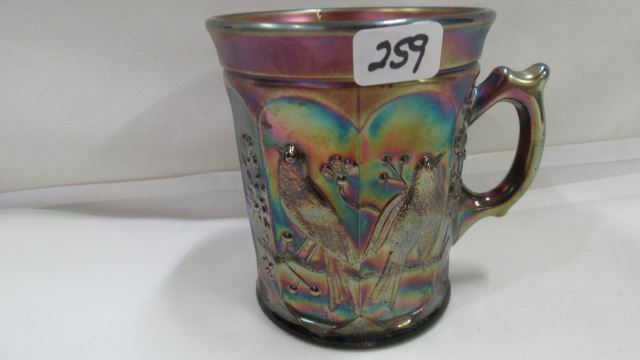 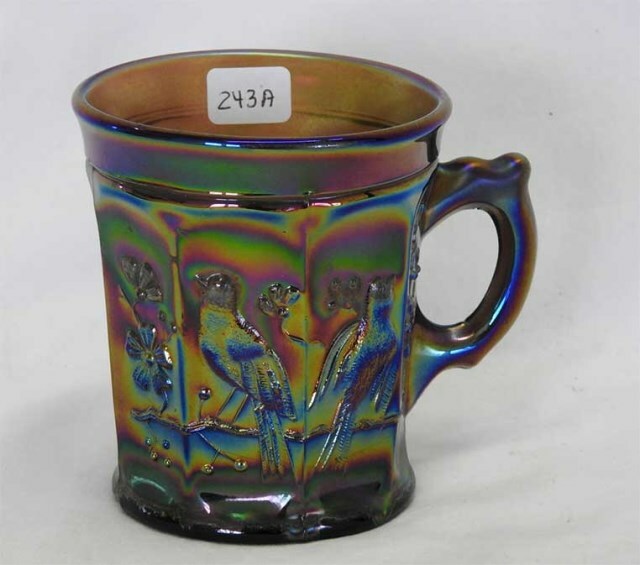 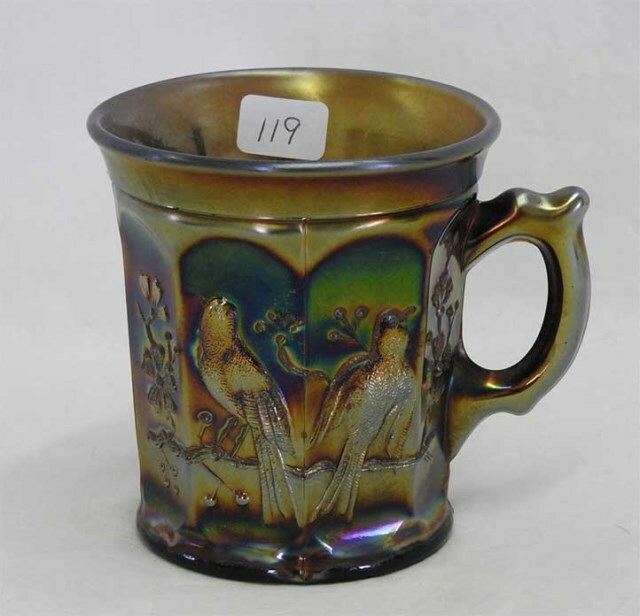 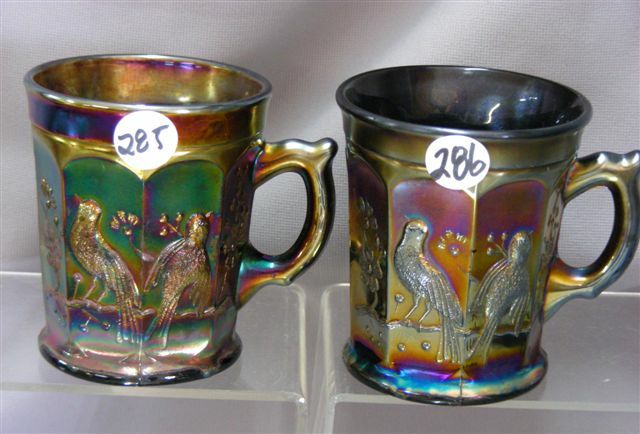 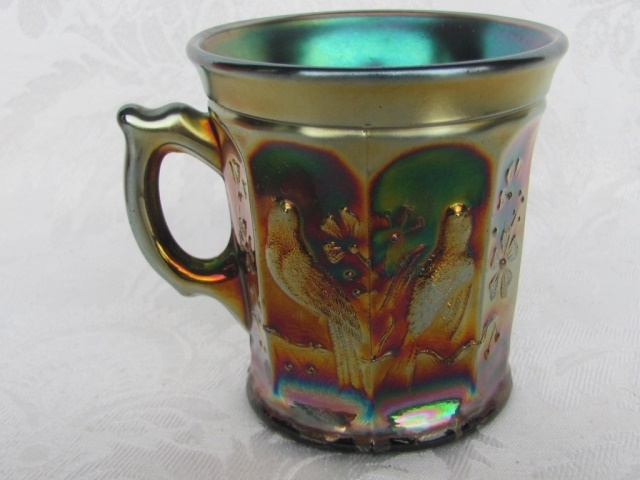 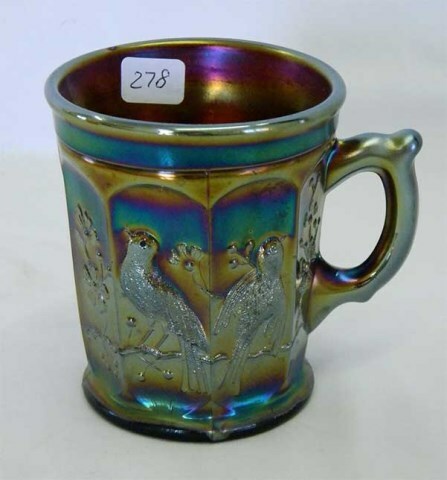 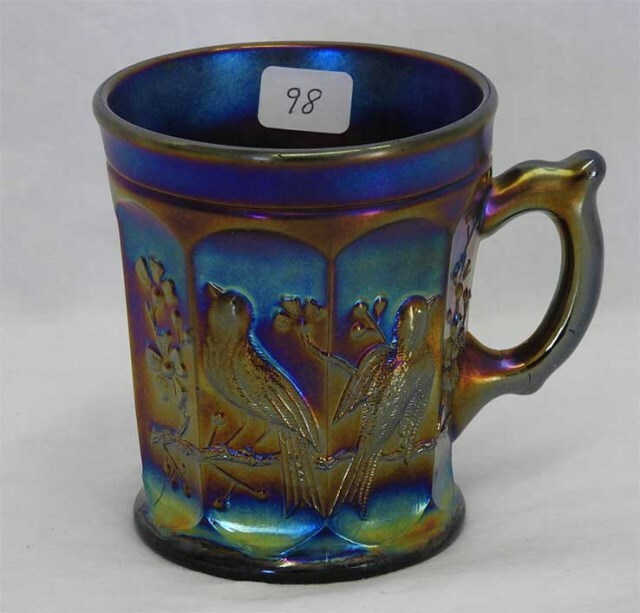 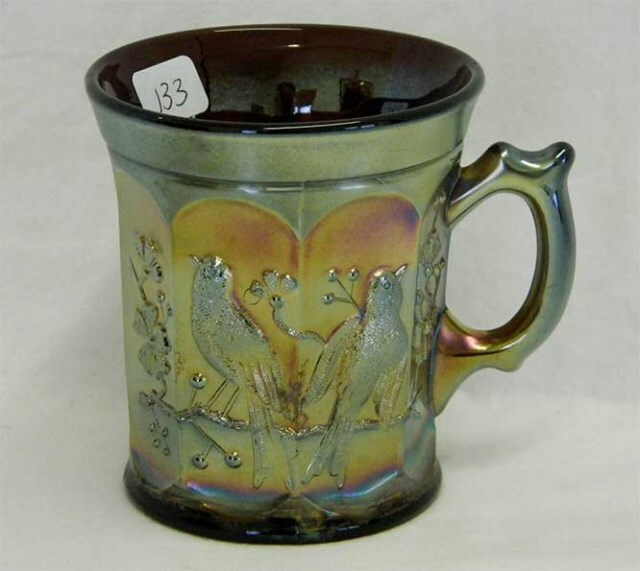 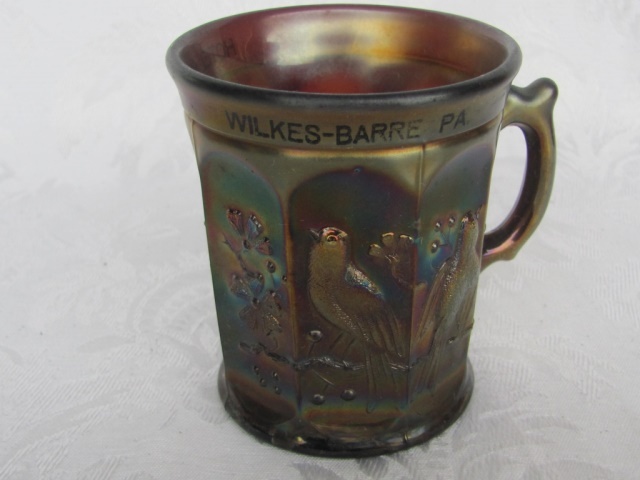 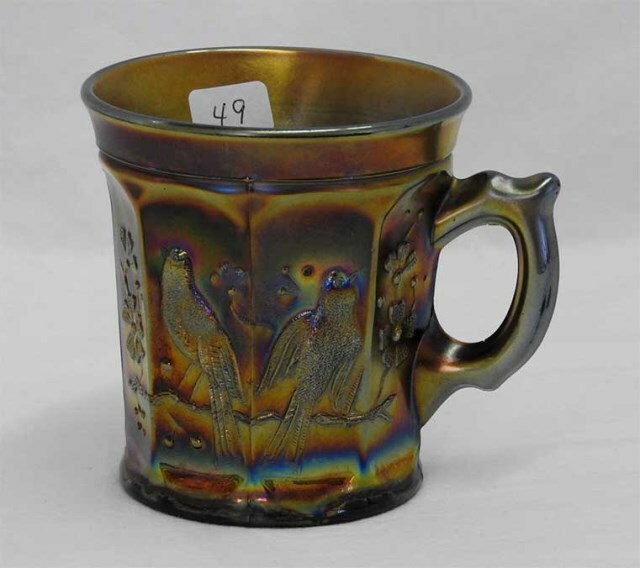 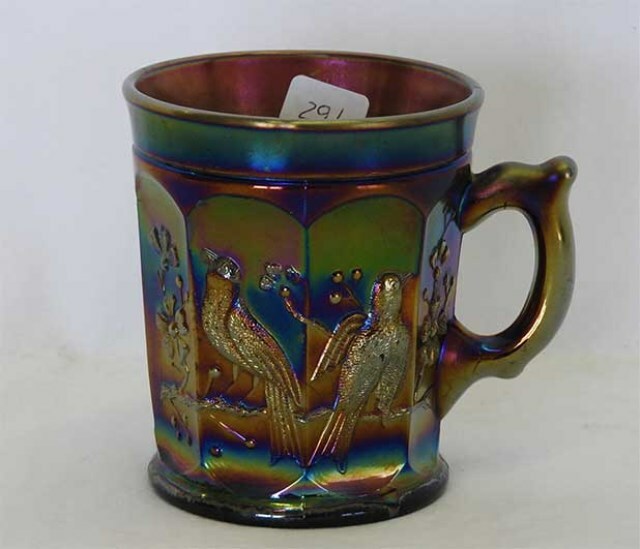 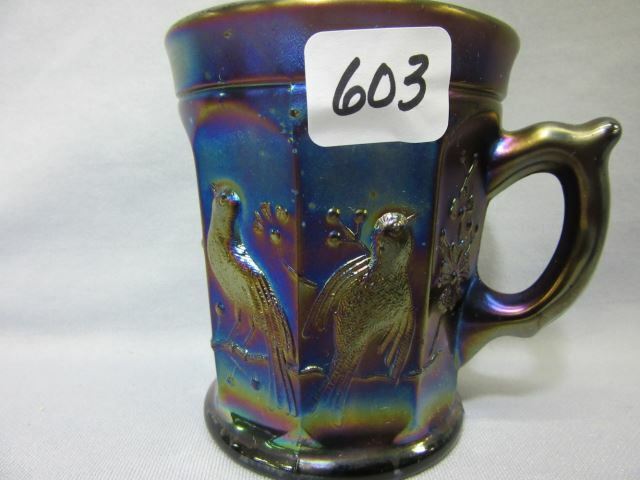 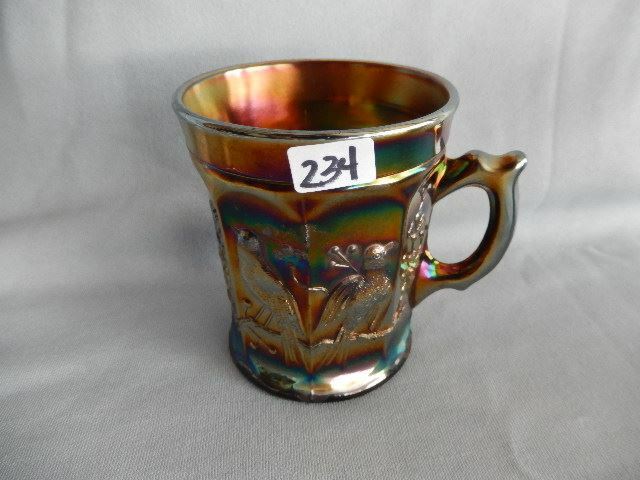 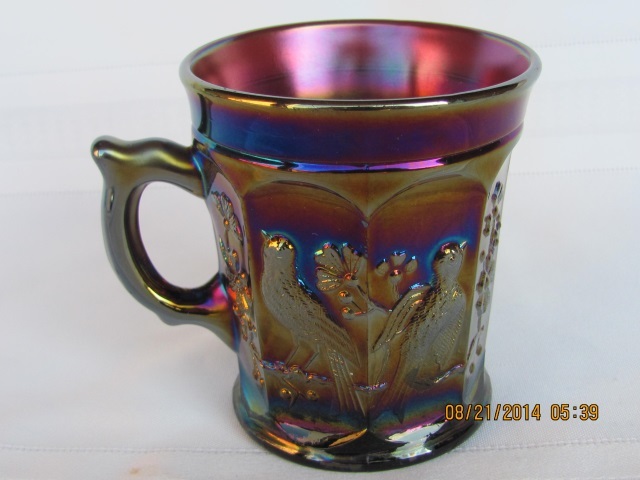 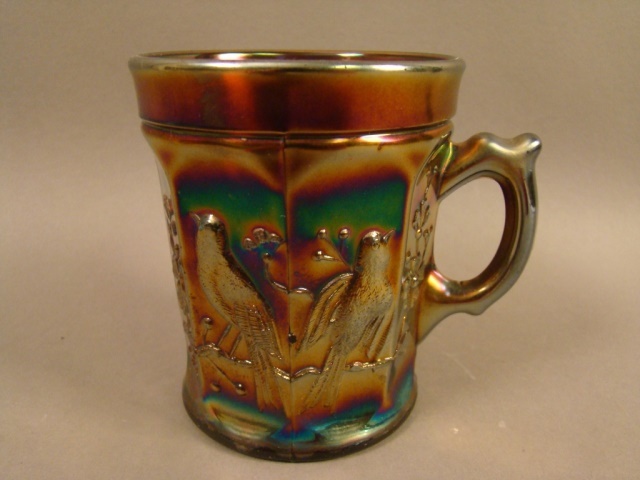 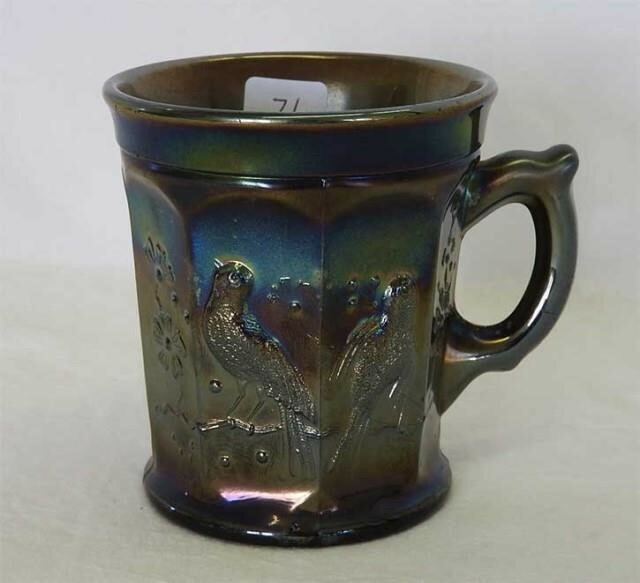 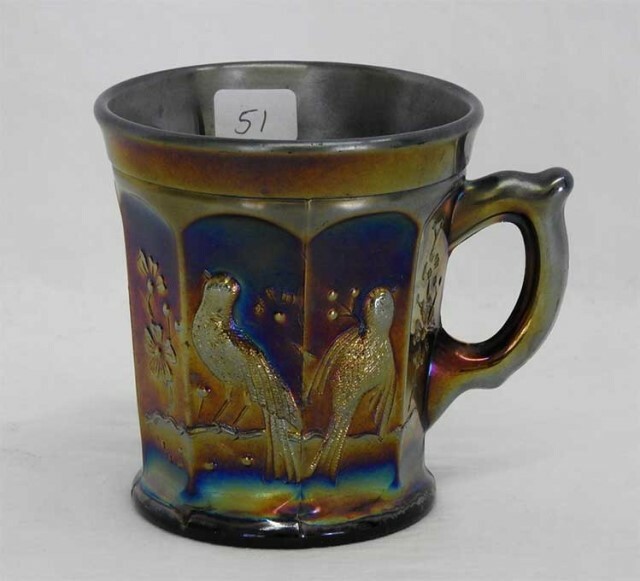 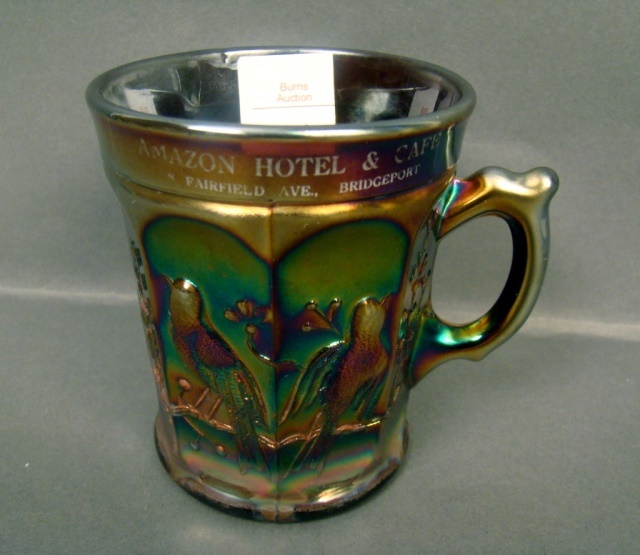 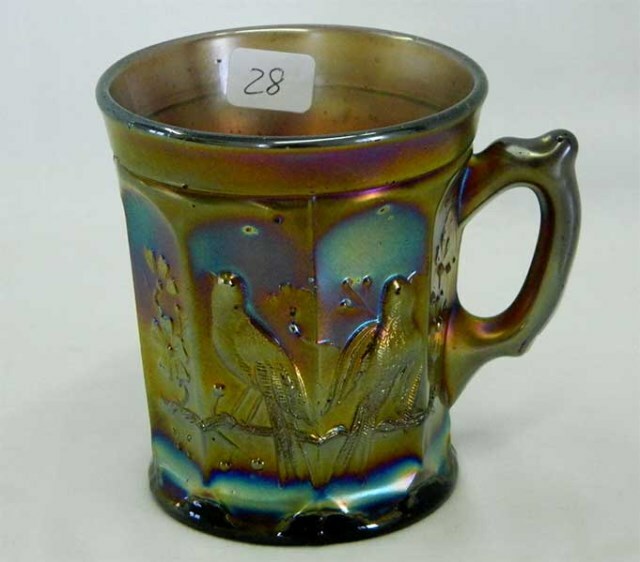 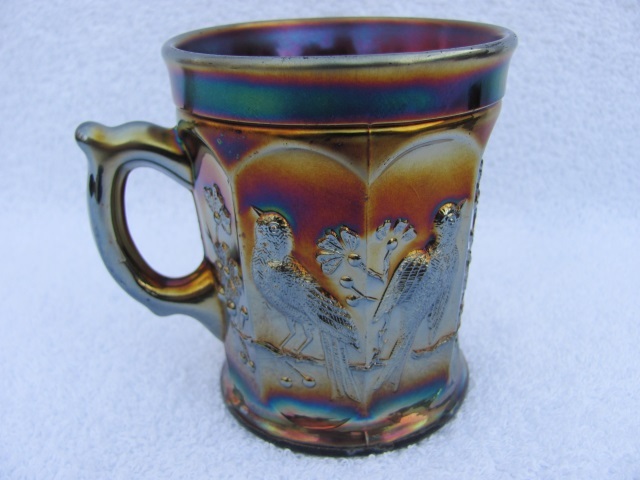 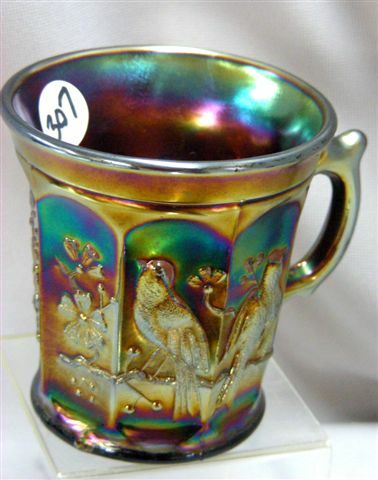 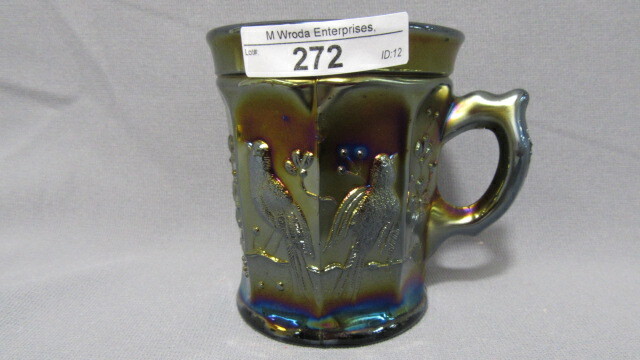 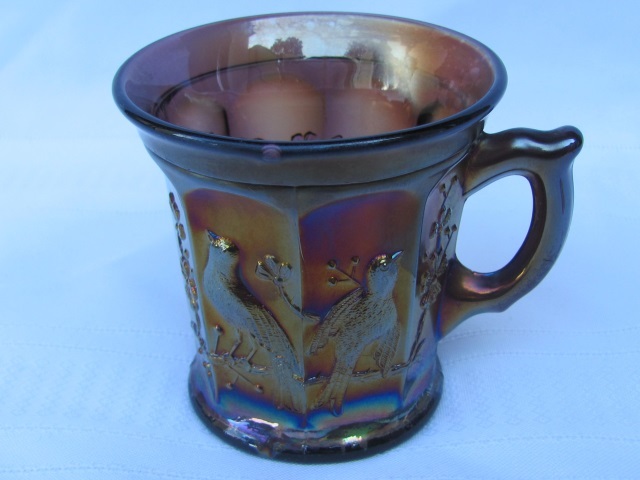 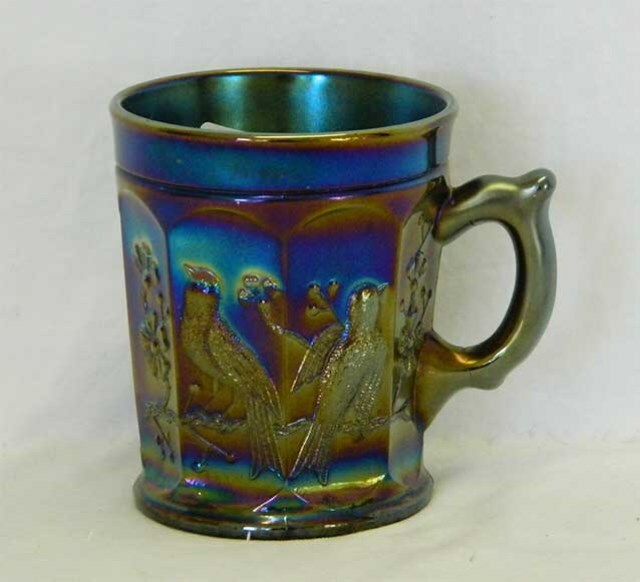 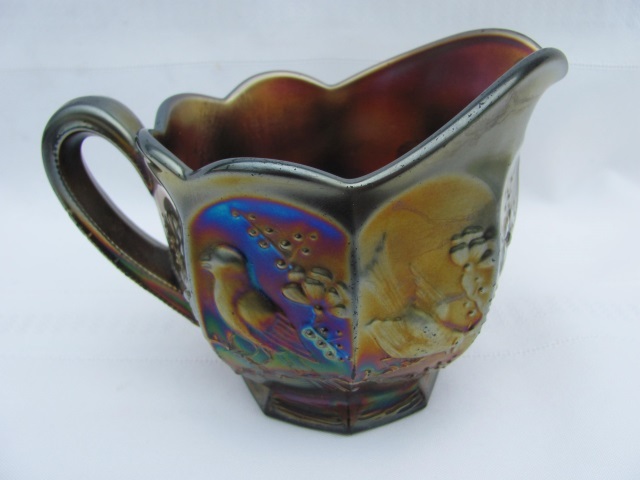 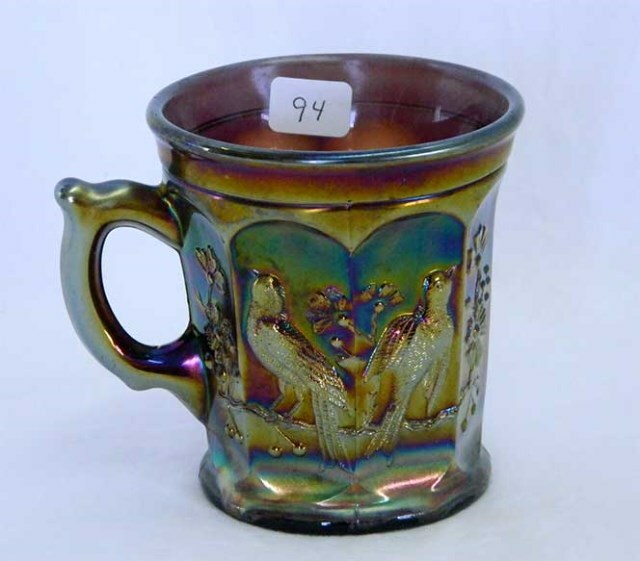 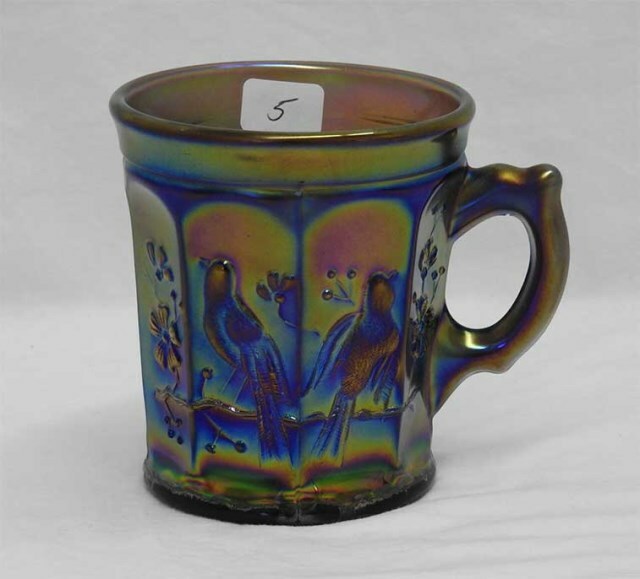 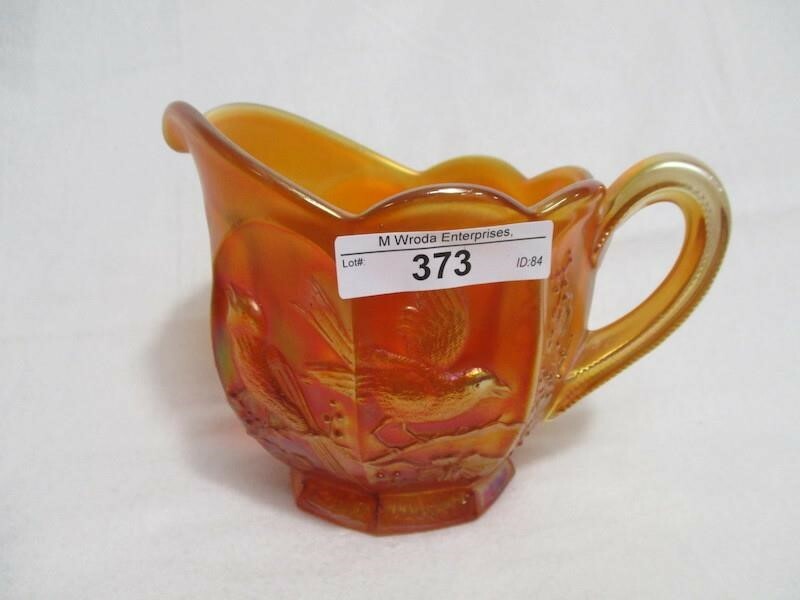 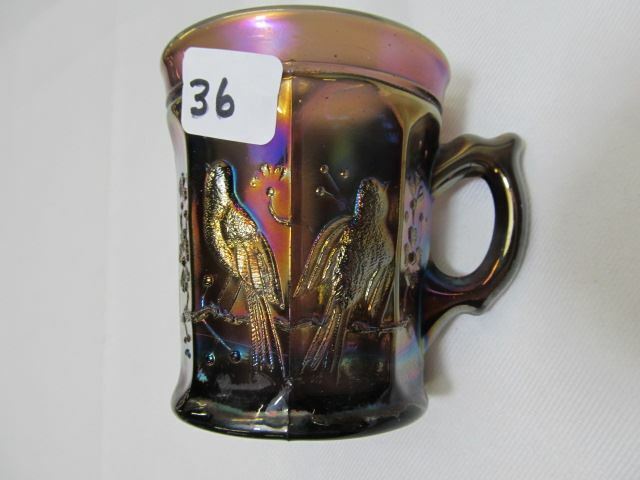 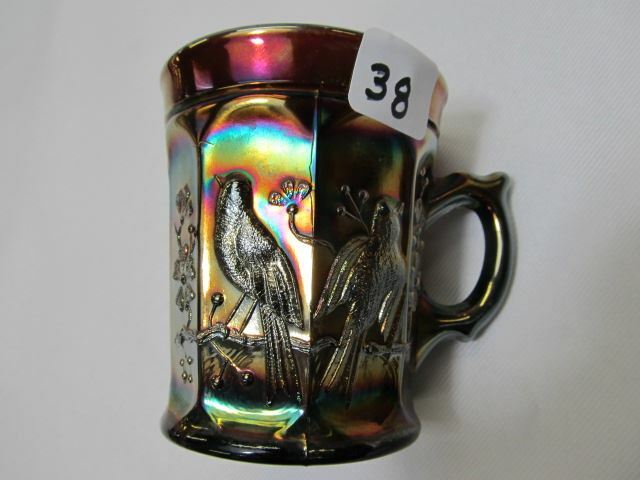 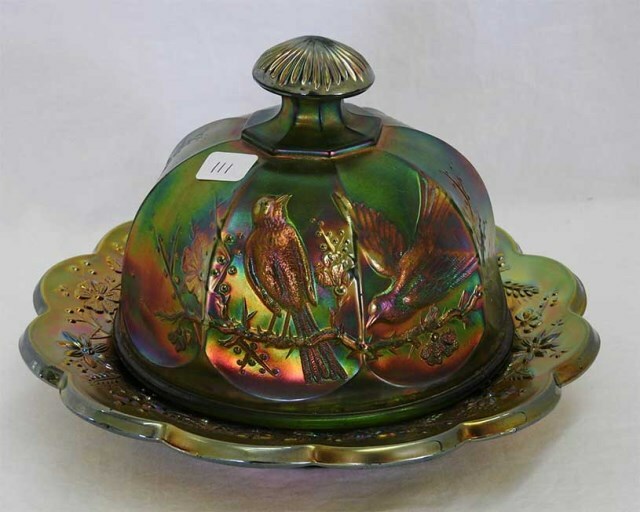 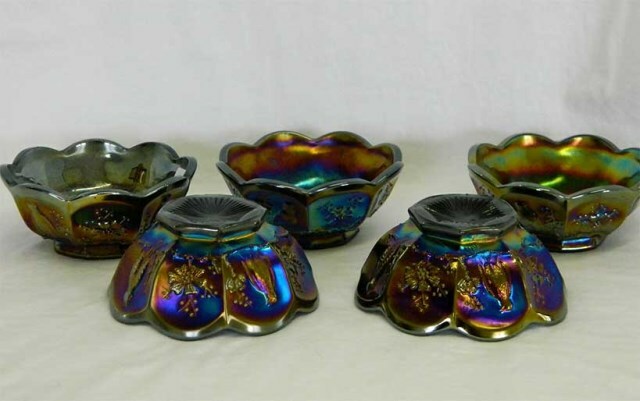 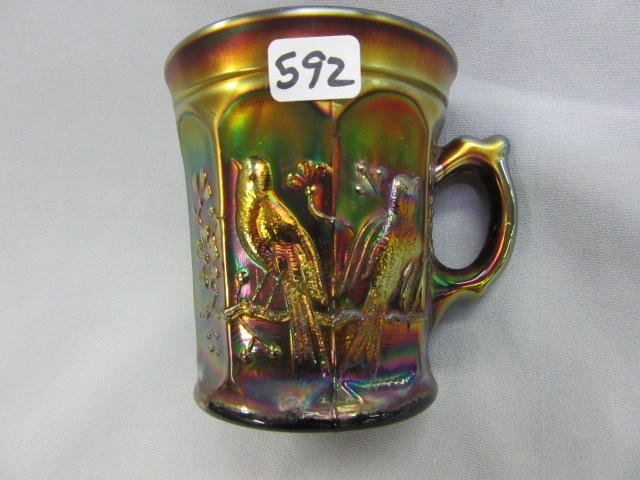 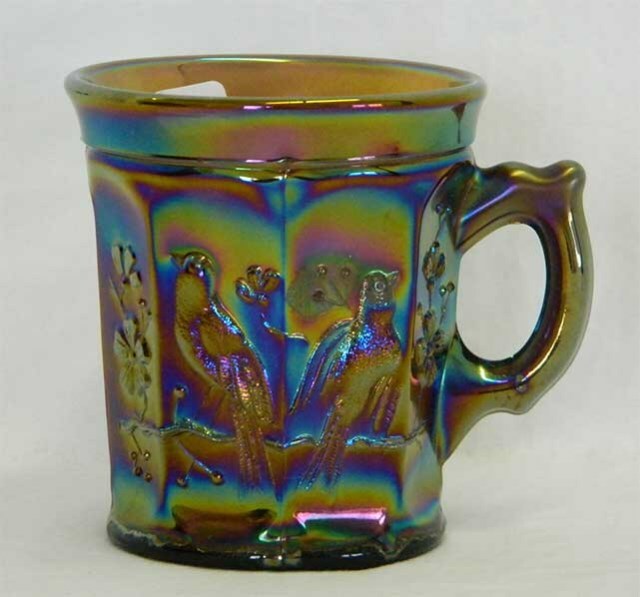 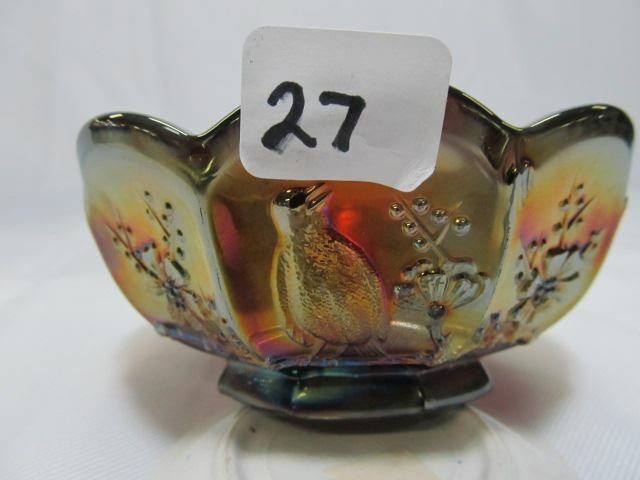 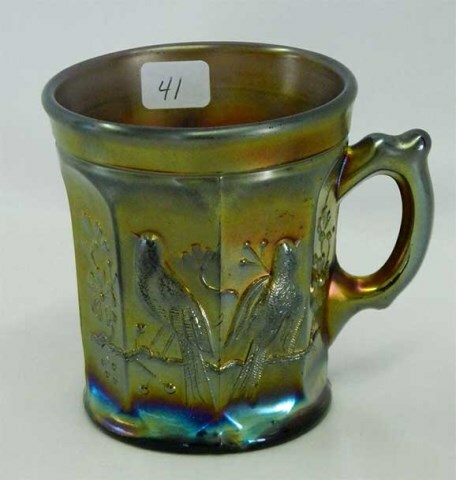 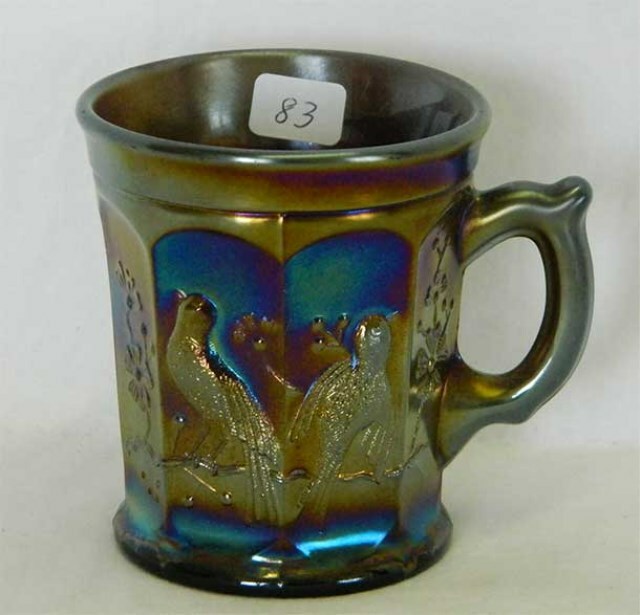 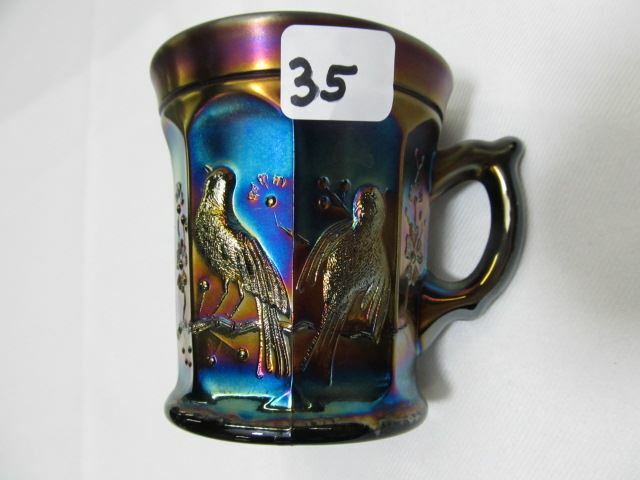 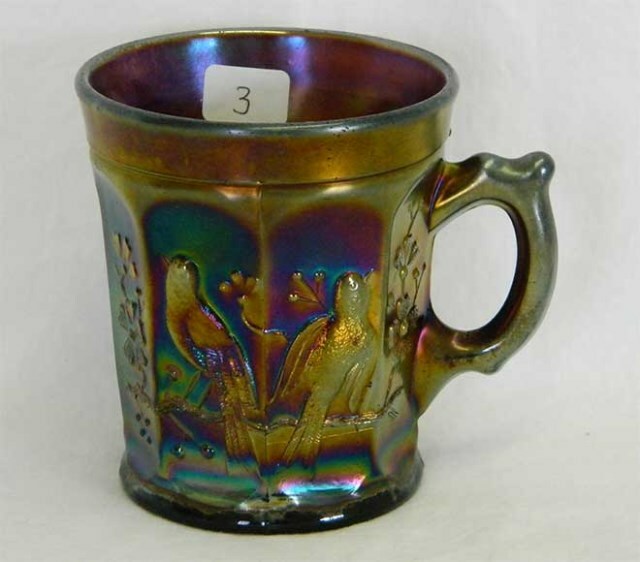 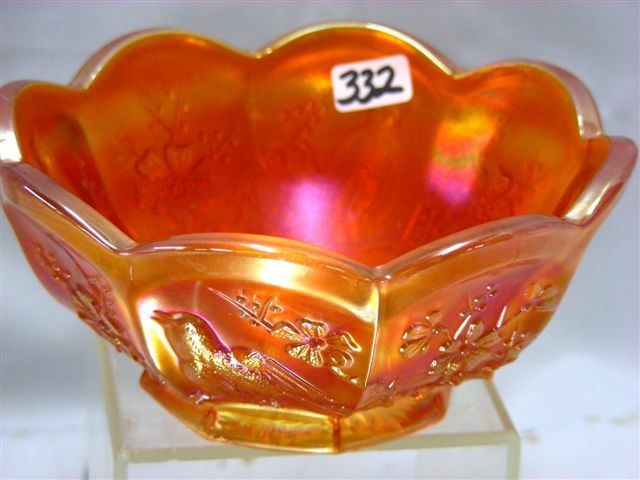 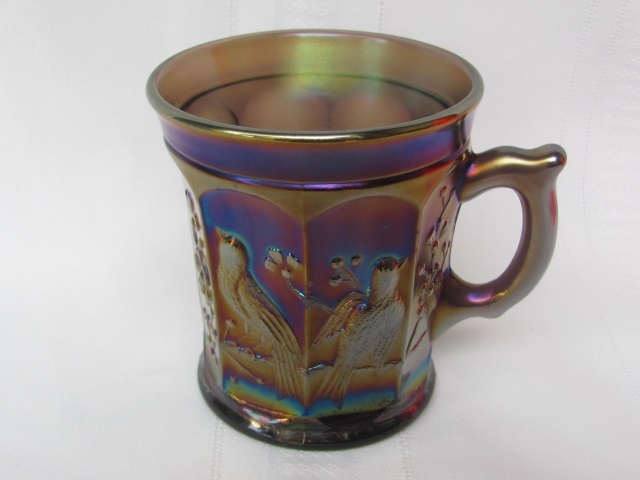 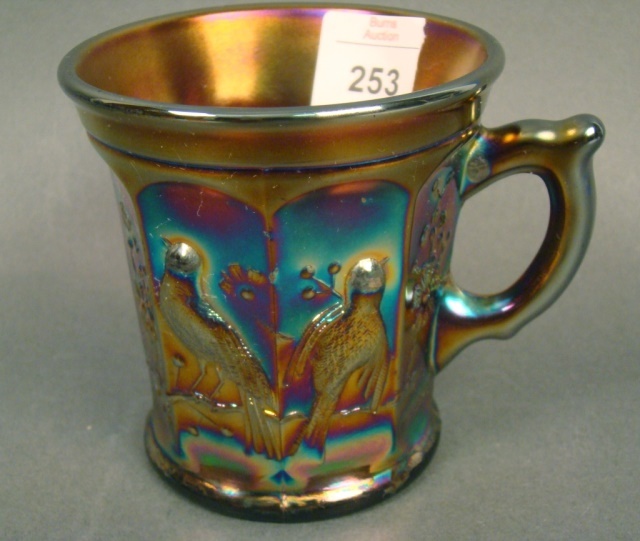 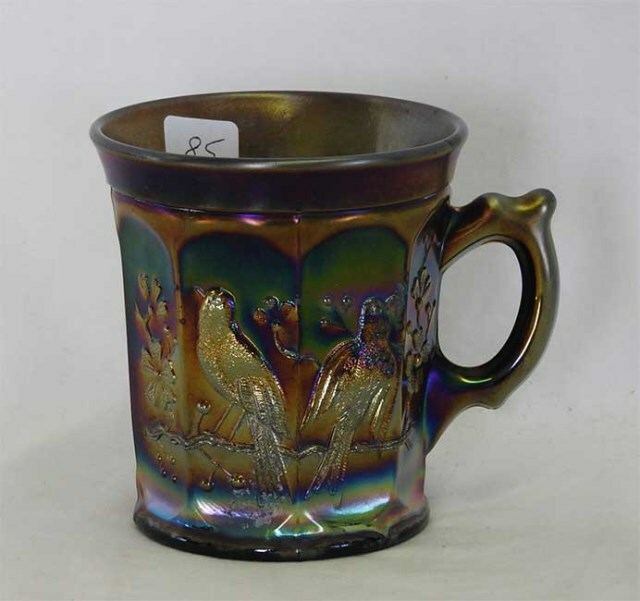 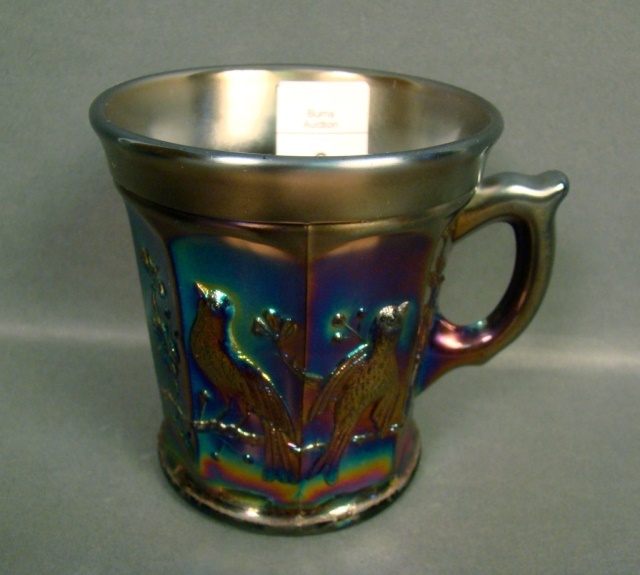 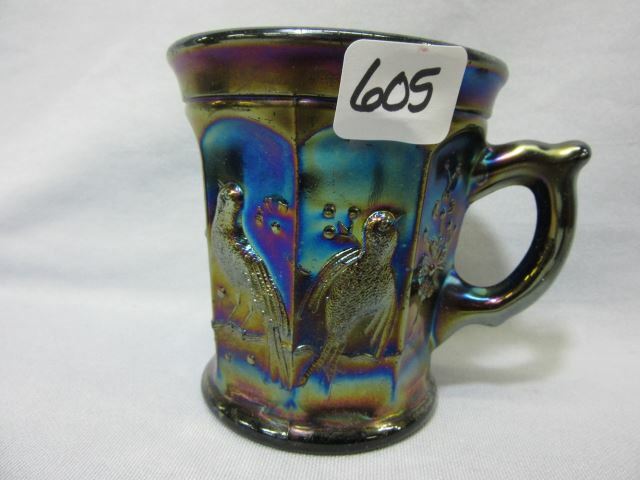 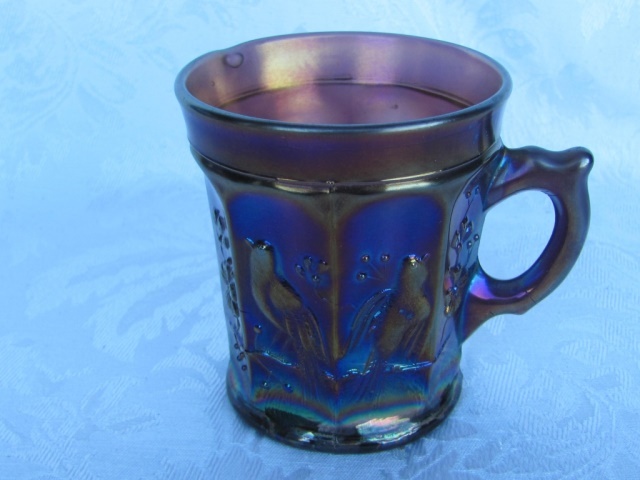 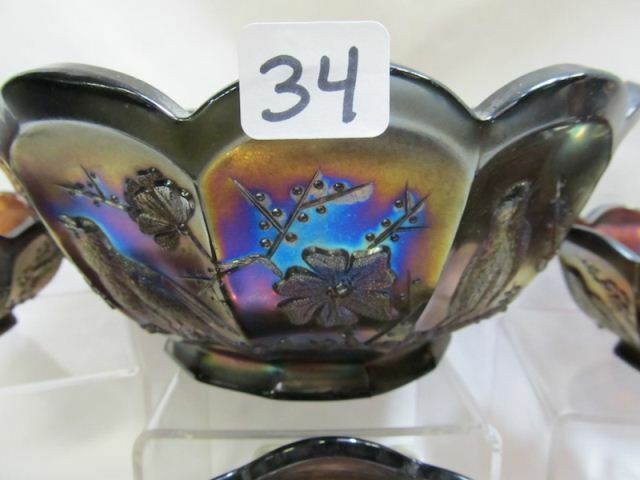 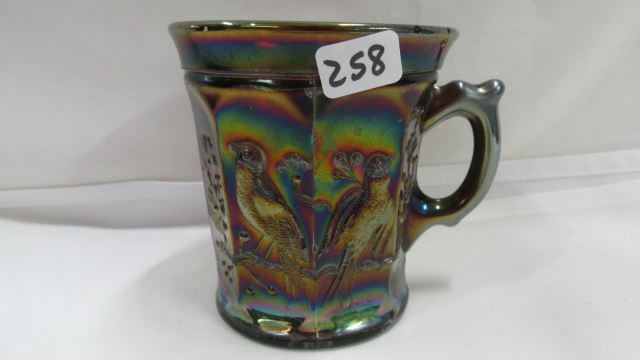 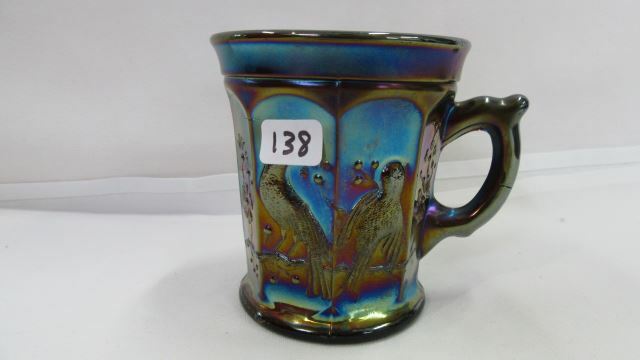 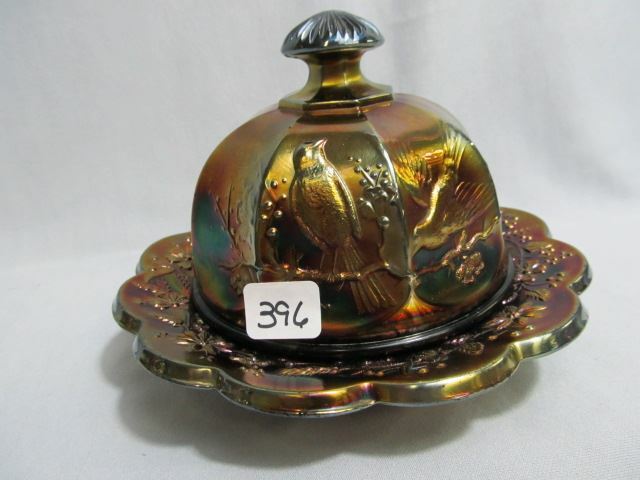 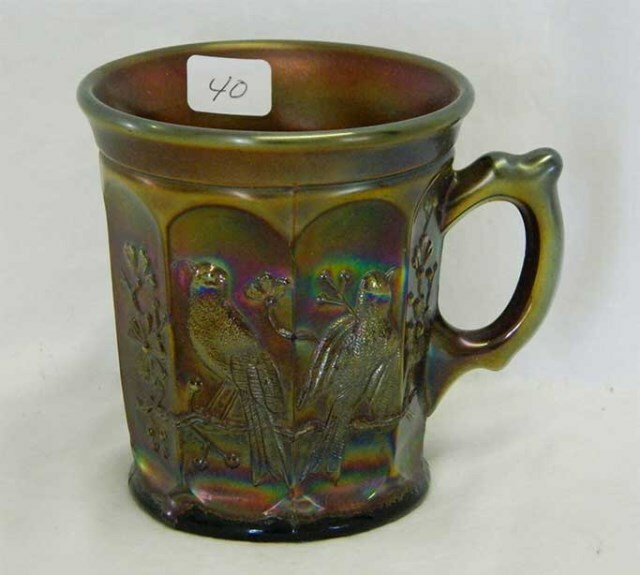 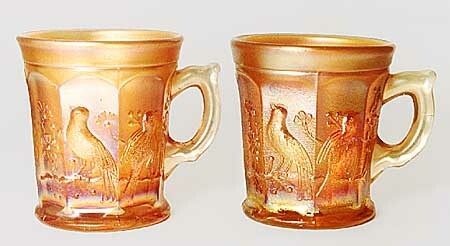 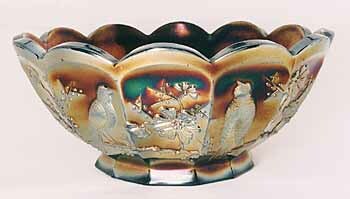 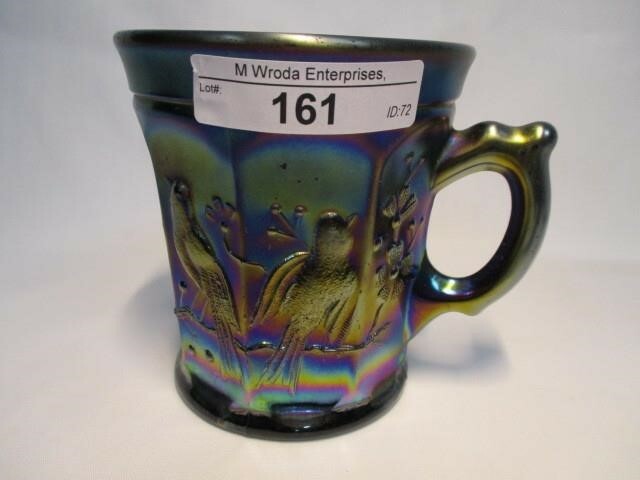 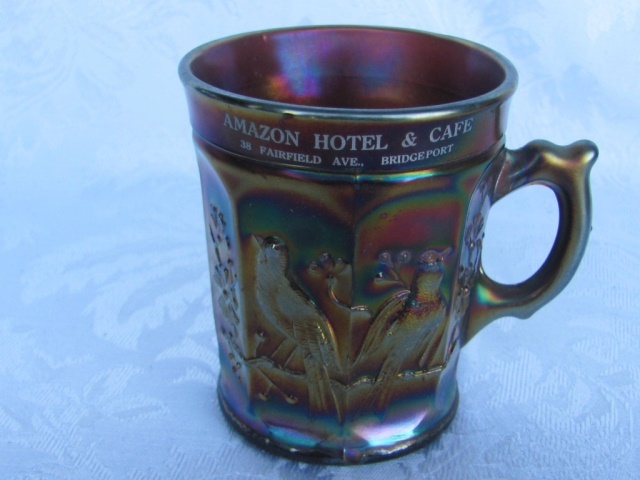 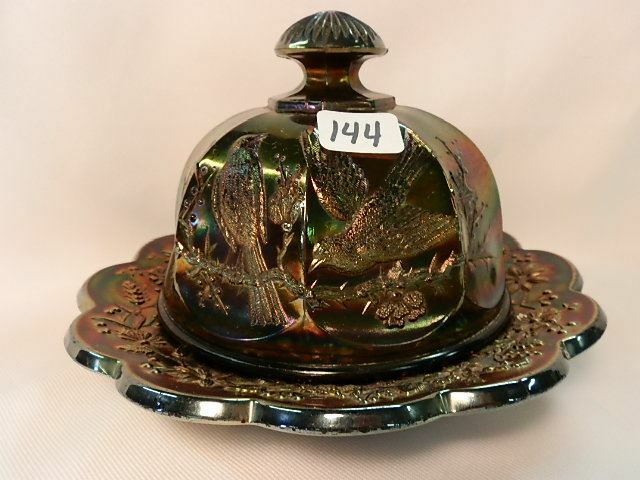 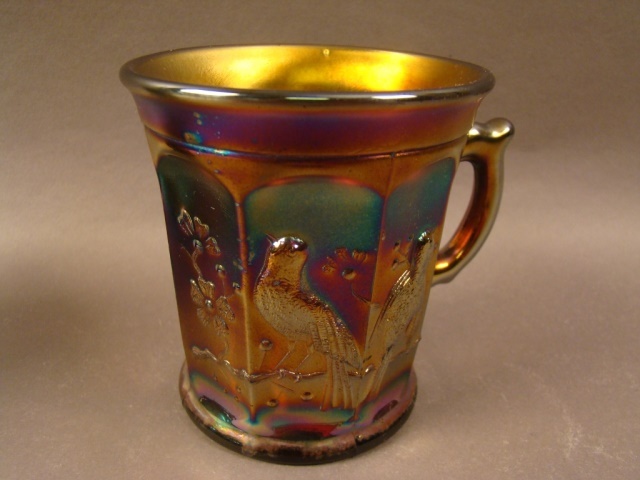 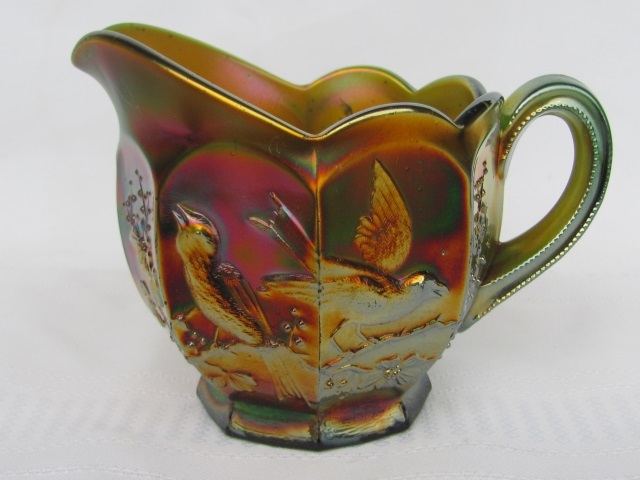 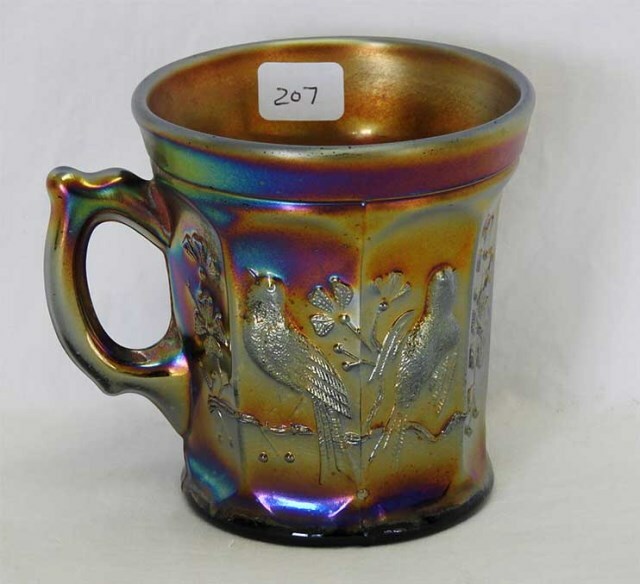 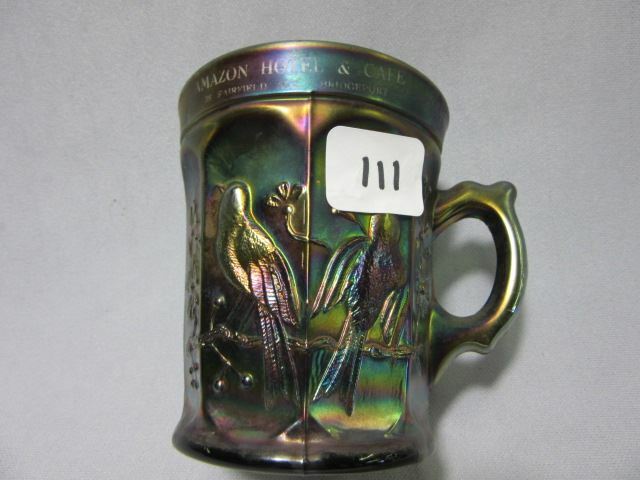 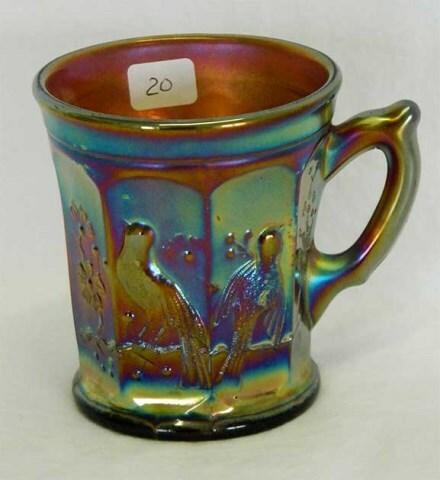 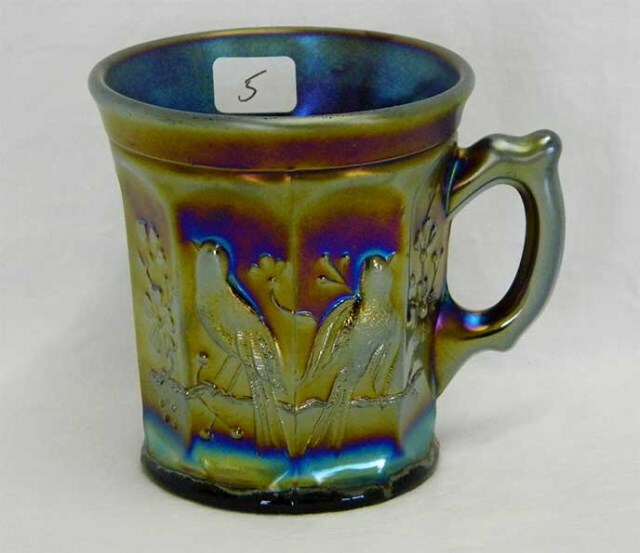 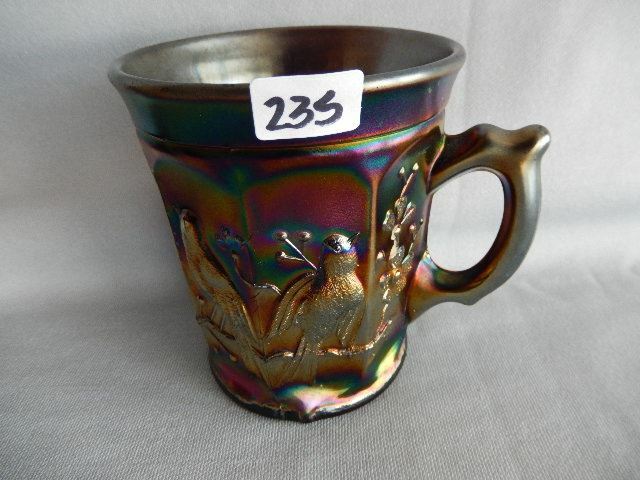 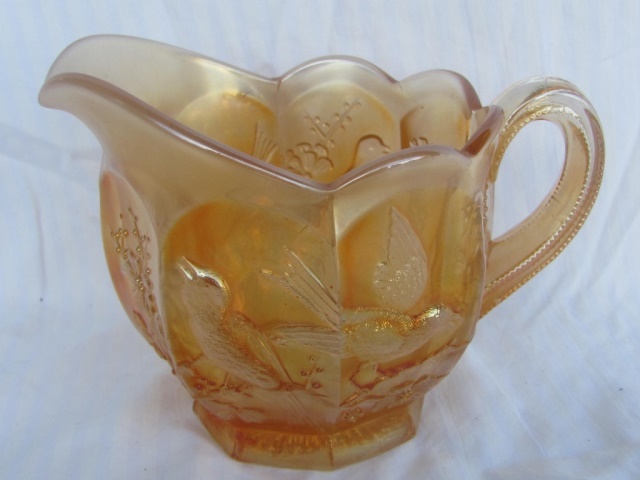 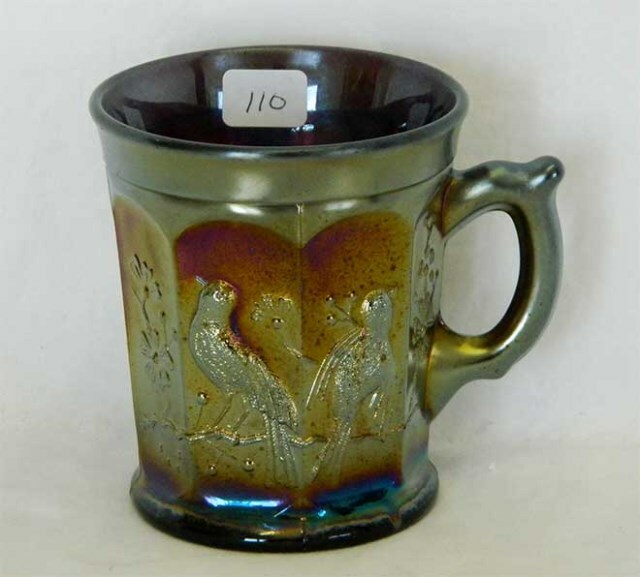 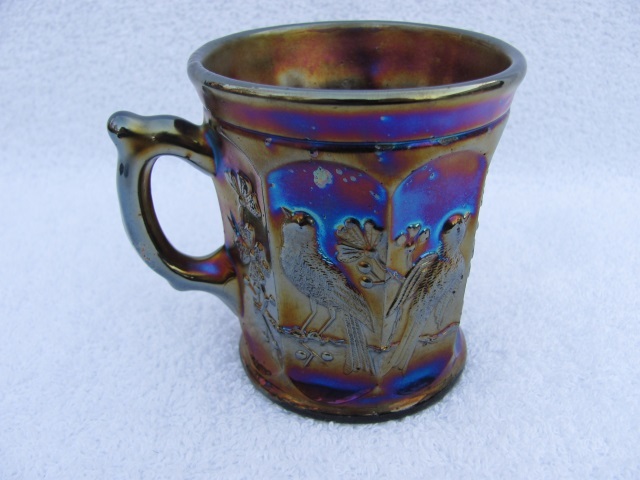 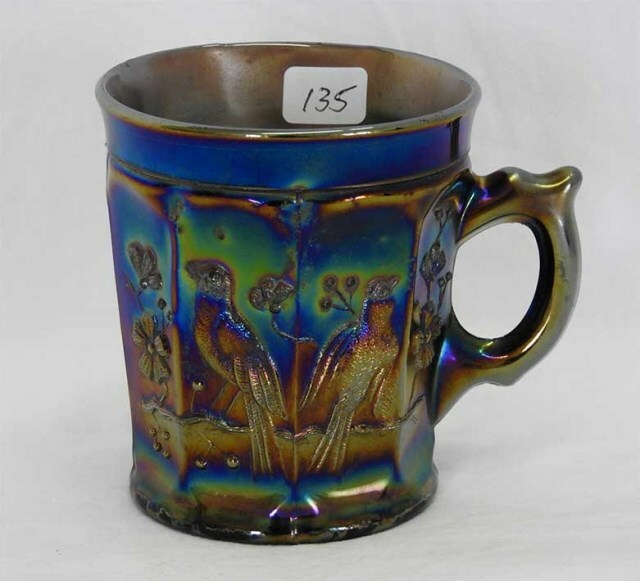 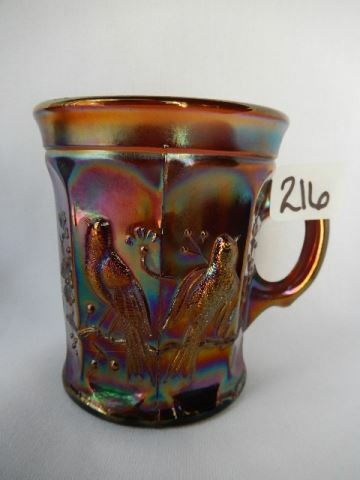 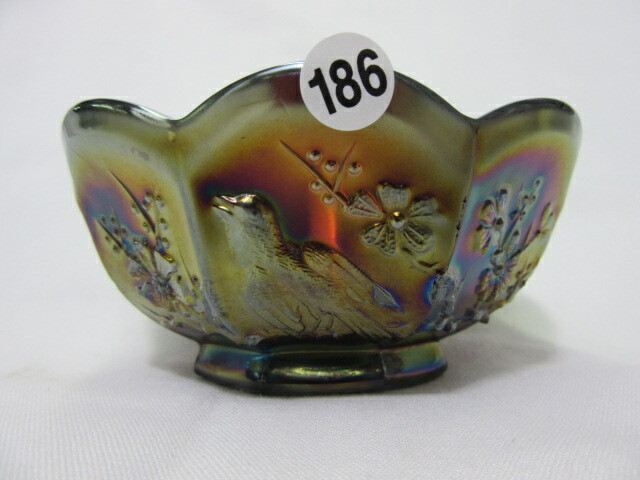 Note that reproduced Singing Birds tumblers have been found in amethyst, aqua opal, cobalt and ice green. 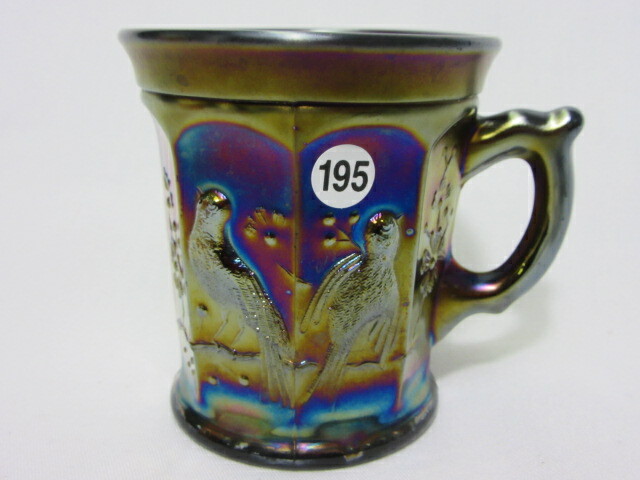 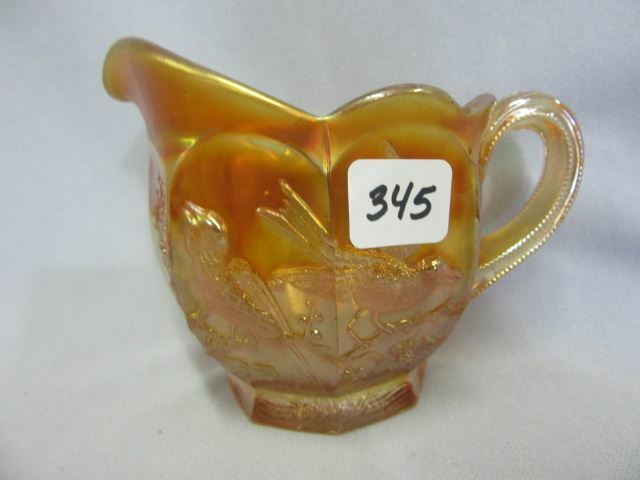 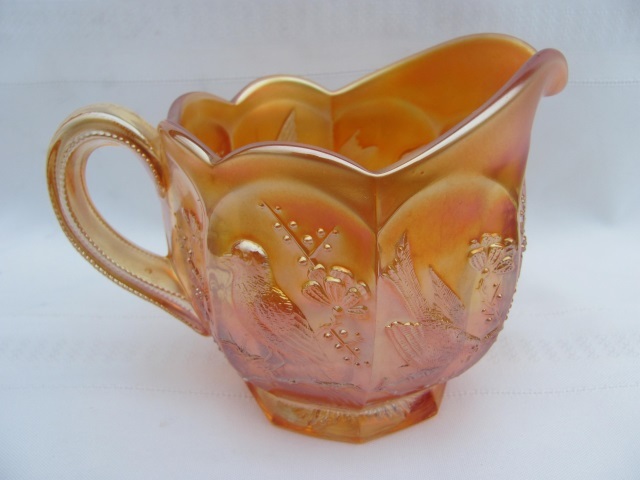 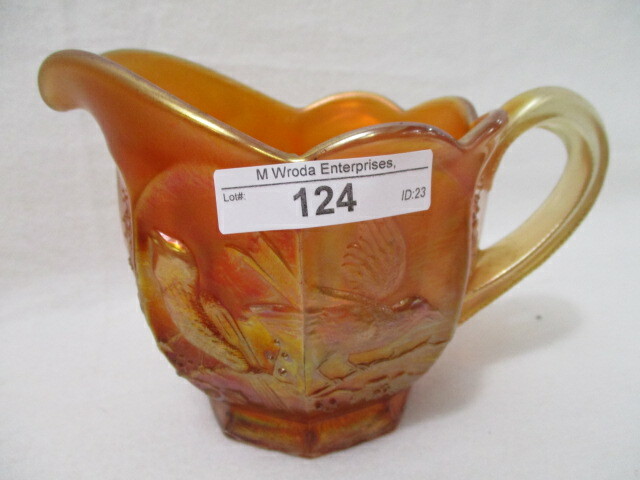 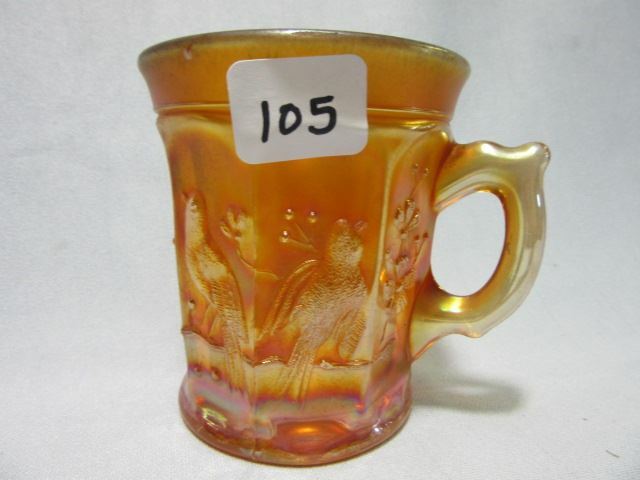 Mugs (above center) are the most often seen shape in this pattern. 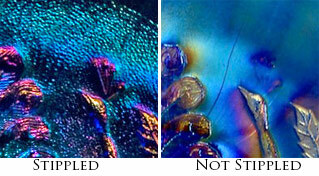 There are two versions, one without stippling (left center) and one with stippling (right center). 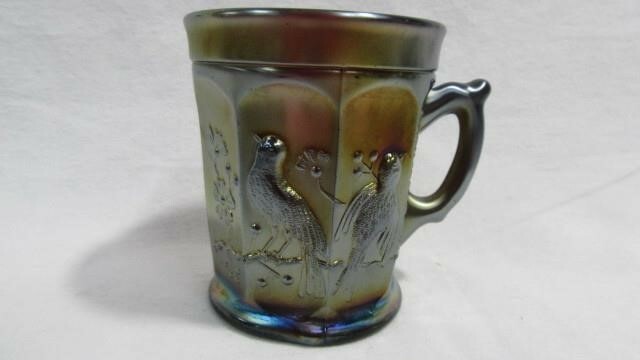 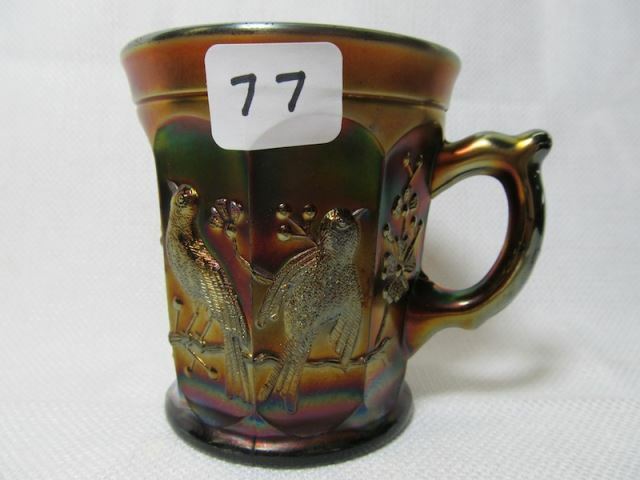 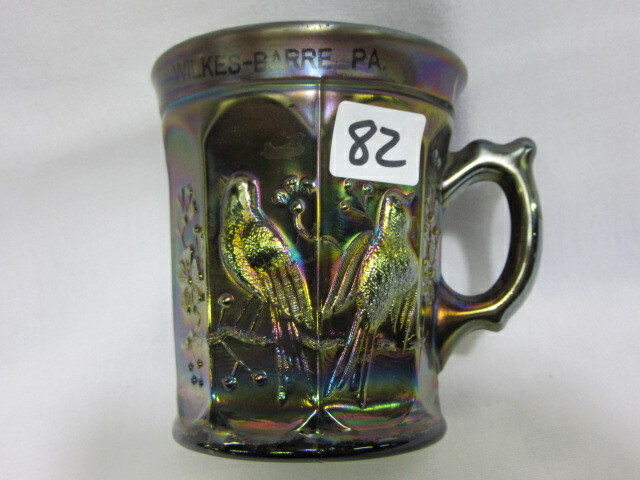 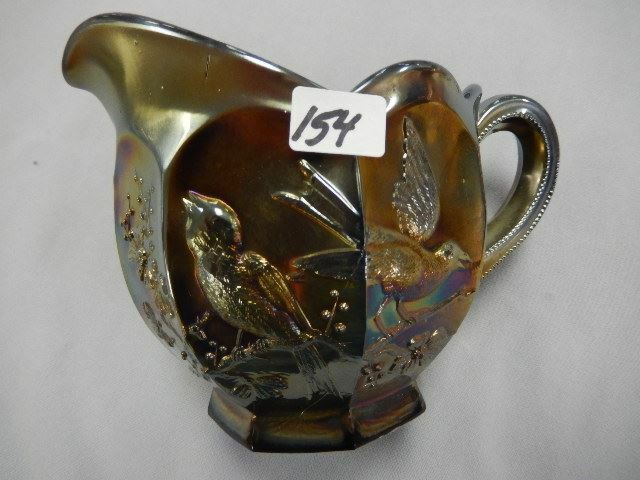 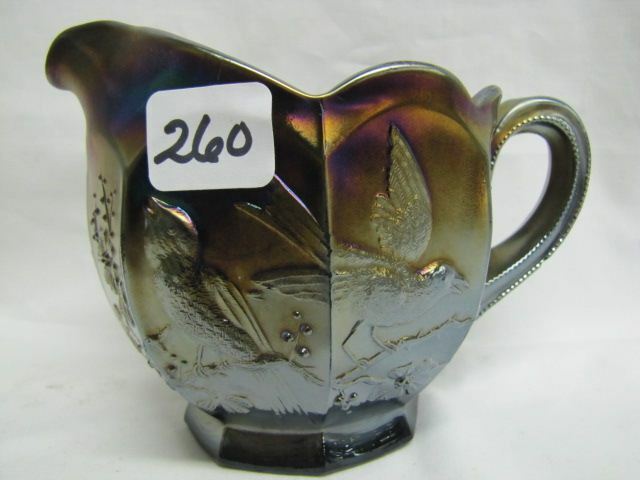 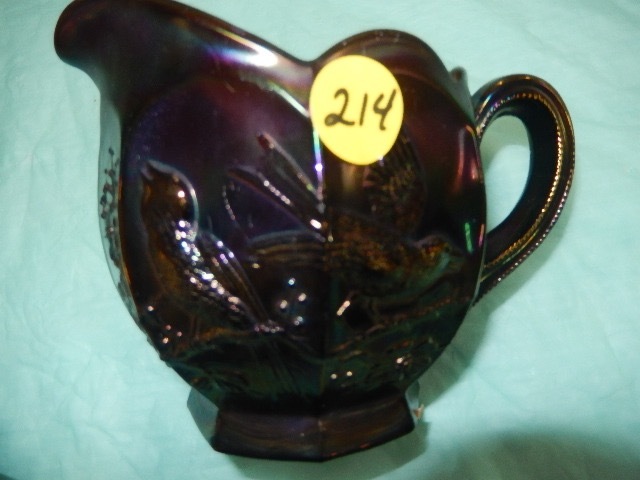 Similar to Robin mugs, but this one has the birds displayed on panels. 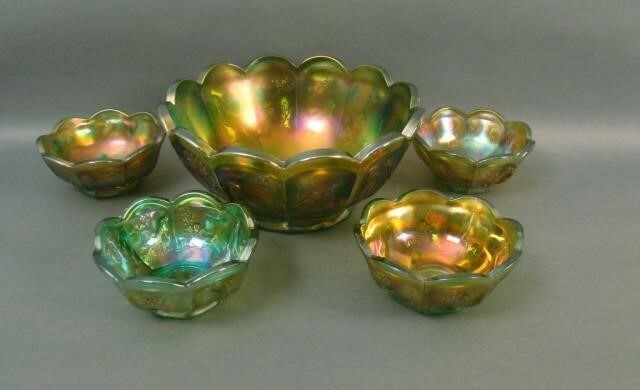 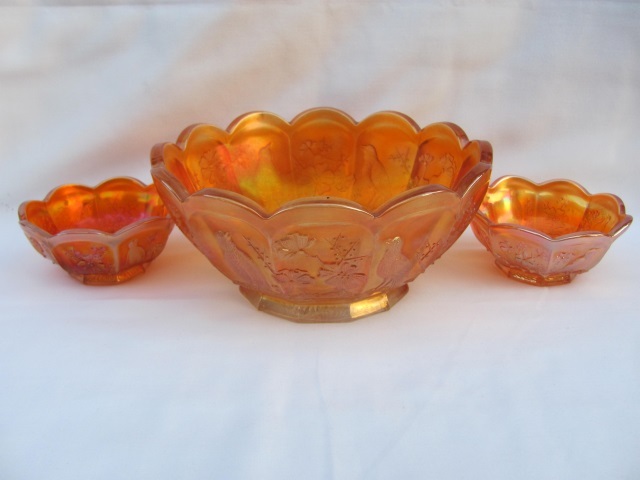 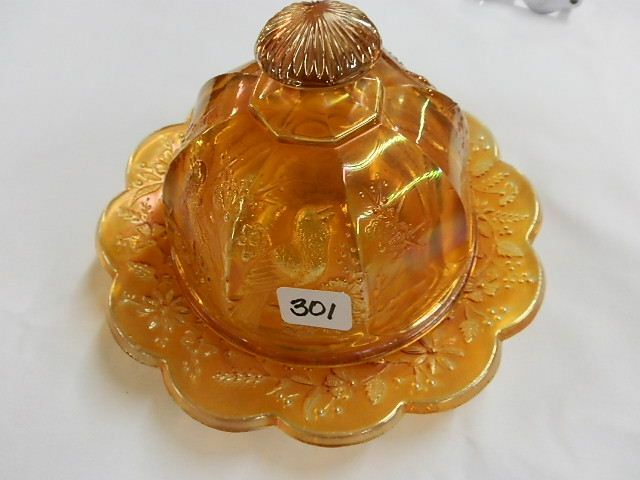 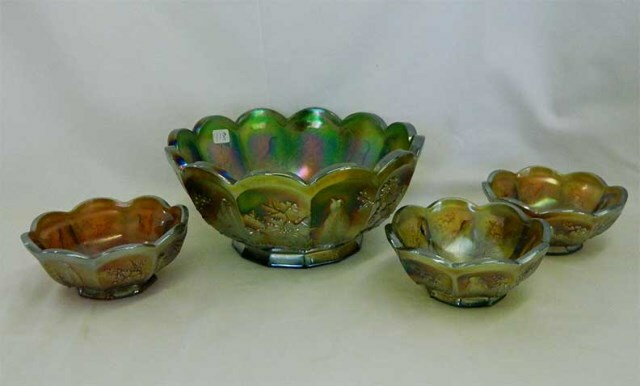 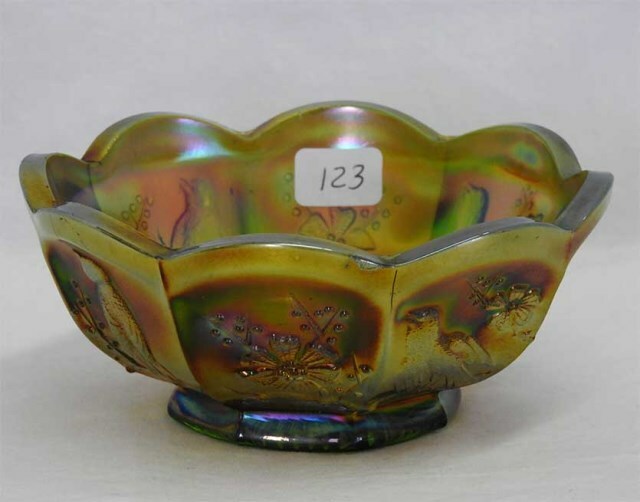 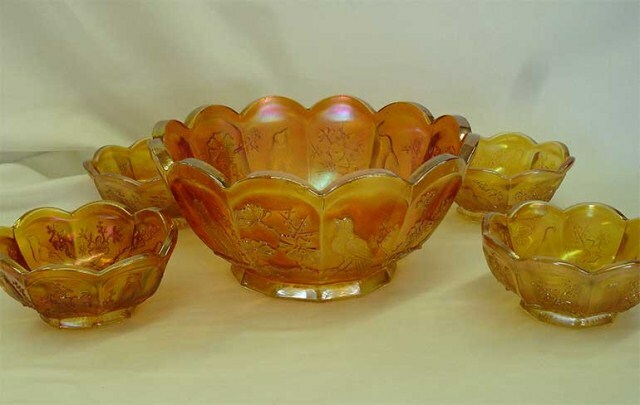 Bowls (above right) are rather difficult to find in this pattern and the large ones as shown here are particularly scarce.